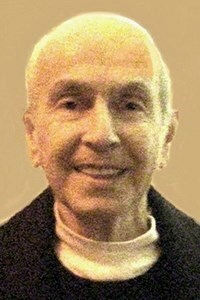 Allan H. Kevorkian, 81, passed away peacefully on Sunday, March 31, 2019 surrounded by his loving family at the home of his son and daughter-in-law. He was the former husband of the late Paula (Vescera) Petrone. Born in Providence, he was the son of the late Henry and Rose (Kaloostian) Kevorkian. Allan worked in collections at Fleet Bank, The Chrysler Corporation and Citizens Bank. He was a graduate of Classical High School and Boston University. He loved spending time with his family, especially his cherished grandsons. He was the organizer and commissioner of the Ocean State Baseball League and managed The Elmwood/Cranston Barrons. Allan continued his love for the game having pitched up until the age of 70. He was an avid Boston Red Sox and PC Friars fan and enjoyed listening to Doo Wop Music. Known for his outgoing personality and sense of humor, he will be sadly missed by his many dear friends. A loving father and grandfather, he is survived by his devoted son, Allan P. Kevorkian and his wife Jennifer; two grandchildren, Allan and Bedros Kevorkian; a sister, Joyce Grassel; and two nephews, Stephen and John Grassel. His funeral will be held on Friday, April 5, 2019 at 9 a.m. from the MACERONI FUNERAL HOME, 1381 Smith St., North Providence, followed by a Mass of Christian burial at 10 a.m. in Sts. Sahag & Mesrob Church, 70 Jefferson St., Providence. Wake calling hours are Thursday 5 – 8 p.m. In lieu of flowers, donations in Allan’s memory may be made to: Sts. Sahag & Mesrob Armenian Church Sunday School, 70 Jefferson St., Providence, RI 02908.